The construction of "Ussuriyskiy" record musical fountain on the Lower pond of Dynamo park in Khabarovsk is near completion. 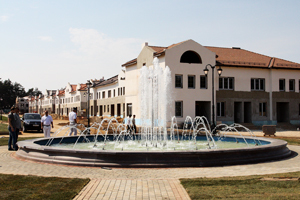 Engineers and developers of Borond Group of Companies adjust the work of all systems of the fountain and carry out the final sets of tests. The official start ceremony of this grandiose complex will take place soon. The construction of "Nations Friendship" fountain complex in the capital city of Mordovia, Saransk, now is on the final straight. The opening of this grandiose memorial is scheduled for the spring of 2012. 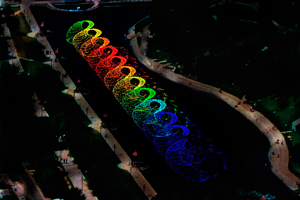 On September, 9 in the capital of the republic of Mordovia, Saransk, as a part of the international forum "Russia - sports power" was the opening of the "Adagio" musical fountain. A new fountain is located on the square in front of the national Theatre of opera and ballet. From the very first days of its work the fountain became a center of attraction for the inhabitants of Saransk, and for the guests of the city. 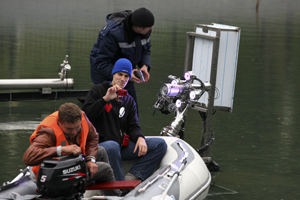 In any weather a colorful musical show gathers many of the viewers, who seek to capture the moments to remember. 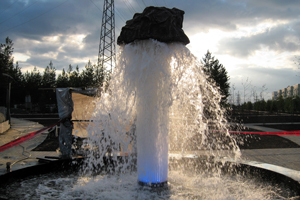 Dynamic fountain "Flower" was held a trial run in the town of Sukhanovo (Moscow region). 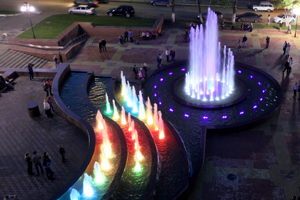 This elegant fountain is rich in light gidroplastic capabilities, no trailing their fellow record. The construction of the musical fountain in the lower pool in the Dynamo park. This ambitious project with the length of 220 meters and the height of its jets up to 25 meters will be the largest in Russia musical fountain, located in the outdoor natural pond. Opening ceremony of the musical amusement fountain "Tornado" in the capital of Mordovia, Saransk city. The fountain starting button was pushed by Head of the Republic of Mordovia Nikolay Merkushkin. Nearing completion of construction of the fountain complex with light dynamics in the town of Pokachi (Khanty-Mansi Autonomous Area). 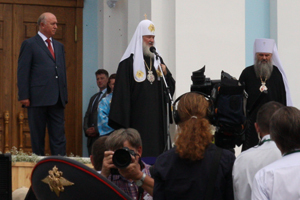 The official opening of the complex on 3 September 2011. Construction of the grandiose musical fountain called “The Star of Mordovia” has been started. This unique fountain will become the most complex and highest musical fountain in Russia, which spurt will be 10 meter higher than the “Yaroslav Mudryi” fountain has. Construction of the Adagio musical fountain on the square at the new opera house in Saransk is actively going on. 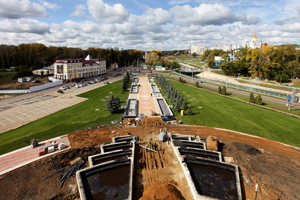 The majestic fountain complex is being built in the capital of Mordovia Saransk. Construction of the complex is the part of Friendship of Nations monument reconstruction program.